This plugin maintained on GitHub. You can add favicon and apple-touch-icon on your site. 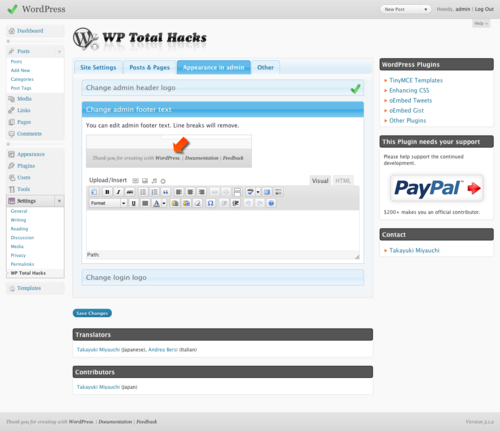 You can customize WordPress admin interface. You can customize WordPress default email address. Hello, great news ! 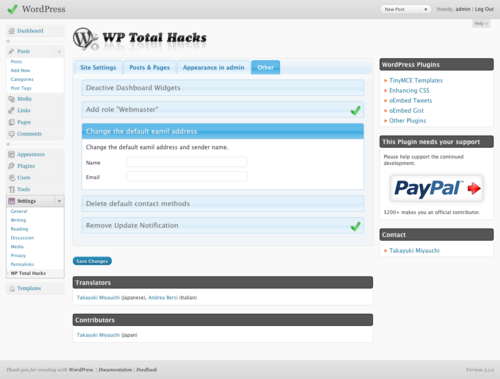 Our colleague Branco Rodenovich managed to translate WP Total Hacks plugin into Slovak language. One more language has been added to the list of available ones on WP plugin site. Hello, I saw somewhere on your website that your Hacks plugin would remove “Attachment Post URL” button from WordPress “Add Media.” I installed your plugin and don’t see that option. Confused. Is this an option or not? Thanks.